in update 1.71 we continued improving the game and added some new content which will please especially the online invasion players, but we of course also have goodies for the campaign! For those who have the Pacific DLC, you should know the final map of the campaign, “Operation Downfall”. We decided to convert it to be added to the vanilla online invasion map rotation. There has been several changes to better match the vanilla experience. The challenge is tough and we tested it with a couple of beta testers the last couple of days and we loved it! We also added a “reverse” version of the assault map “Rattlesnake Crescent” where you start at the Mosque without any combat vehicle while the enemy is constantly pushing with mass of vehicles – the freshly implemented Radar Tank being one of them! In this update, we also added a special lonewolf sniper. He is equipped with a ghillie suit and a suppressed sniper rifle and tends to go behind enemy lines taking out enemies without them to notice. If an hostile enemy unit comes too close, he will crouch and retreat to the closest cover in hopes of not being detected. At least they don’t have any body armor under their ghillie suit and are therefore relatively easy to take out unless they notice you first! Sometimes, when they feel that stealth isn’t helping as they would hope for, they might call Elite reinforcement, which is a new radio call, of course also usable for the player! It paradrops 4 special units, 3 armored paratroopers with unique SMGs and an elite medic which can heal indefinitely (and fast) while having a very strong armored vest! It tries to stay back from the fights focusing on its duty but has a taser as primary weapon in case. The first 2 community box projects were a great success! This is why we launched a new modding contest to bring even more community creations into the game. We at Osumia Games were especially pleased with the fact that some scripting efforts have been done to extend the boundaries of the average modding work that has been done so far for previous community boxes, nice! This goes from repair crane vehicles that can (over)-repair vehicles to GPS laptops to locate strategic enemy locations on the map. We even have a repair kit to fix your broken vests but of course we also have some new and unique weapons, neat! Here again, there has been more stuff submitted than what we expected, so we had to make a cut at some point, but those ideas aren’t buried and rather get a new chance for the next Community Box! Don’t forget to join our RWR community on Discord and leave us a review on Steam if you like the game, it always motivates us a lot! Long awaited usability update 1.70 released! The lack of a solid tutorial explaining high level game elements has been an issue among new players and we decided to do something about it now. The little puzzle playground we had previously has been removed as obsolete. In the new approach you’ll get informed about things you encounter while playing the campaign (or online invasion) in the form of journal notes, which are usually triggered by mousing over objects or by simply gaining XP. While there are still a few things you’ll have to figure out on your own, this should definitely help players get into the game better! A good chunk of the new text content has been translated in all supported languages, kudos again to the translating community! In no special orders thanks to BrodayTy, CandyMew, Lagia8, Tadler, Zahar Savelyev, RaioOriginal, Etsy and some proof-readers. In this update, we’ve made certain features more accessible for experienced players too. For example, deploying sandbags or heavy weapons on the roof only to see them fall over the edge from a slight misplacement of its position is finally coming to an end. Now, besides using improved collision models for the deployables, we also have a visual emplacement marker which turns red if the space in front of the player is not suitable for deployment. Alongside that, you can now order squadmates to man deployable weapons by giving them a move order over the gun! If (for some reason) you want to build 5 miniguns and 5 mortars side-by-side and want them all manned, no problem. We entirely re-balanced the campaign after making some changes to the commander AI logic in pursuit of an improved pace for the game. Once a base has been captured, the next attack doesn’t begin immediately – rather the commander will regroup his forces to defend against a counterattack and also gather for a larger attack when it does occur. In addition, we seized the occasion to add a new “veteran” difficulty which has same settings as the “hard” difficulty but with FoV enabled, which makes for a much more challenging experience. 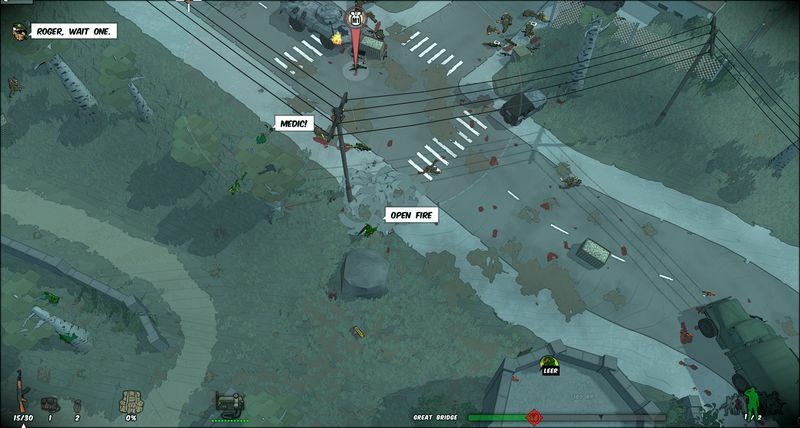 We also added radio call markers (visible on the map and in the game world) to provide better information for the players about where an allied radio call has been placed as well as an AoE so that you know in which radius you should not enter during the call in case it is a mortar/artillery strike. The subtle visual marker will hopefully lower the amount of unwanted teamkills happening when fellow soldiers run through the bomb showers. The first community box submission work was a great success and the modders had a lot of fun making experimental stuff and a good part of it made its way into the game. They had enough new ideas for another community project so here we go! In 1.70 there is a new community box with new exciting (and CRAZY) content! Have you ever dreamed of running through the frontlines in a banana costume throwing banana peels at the enemy? Or having a riot shield but actually being able to shoot at the same time? From goofy to highly helpful in combat situations, with the help of the modding community, we have more than a dozen new items/objects/costumes/vehicles in the community box #2! The experimental “Dominance” (PvP) mode is coming out now too. The main idea was to remove most of the RNG by simulating a healthpoint system where there is no longer a kill probability system from bullet damage. Most weapons have a smaller bullet decay (apart from sniper rifles) and some rare weapons have also been included, such as the F2000, the XM-8, 44 Magnum and a few more. As this gamemode is mainly about PvP, we removed stealth vests and added a special vest which is basically similar to the Vest Type II in vanilla, just that the top vest layers reduce bullet impacts more than the lower layers. We also added the bandage item that allow you to heal yourself! You can also heal your special vest with it. Bandages can be found at the armory but are also dropped by some AI soldiers. Keep yourself mobile and loot the bandages lying around to always be ready to engage the next fight! [b]Pacific in update 1.70[/b] aims to improve upon some of the major balance concerns in the community, as well as make the campaign more accessible, and to implement a few new weapons and units within the game. Some of the major balance changes include reducing the power of the Banzai Charge call-in, giving the USMC forces a better chance on the early beach-assault maps, and a lot of performance changes to the game’s small-arms weapons. Specifically, most of the Common weapons (the starting guns available within the Armoury) have had their lethality improved in some way or another; reducing the large gap between their performance and that of Rare weapons. 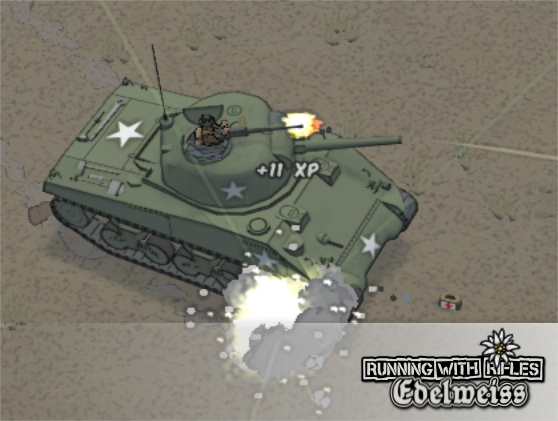 Some other changes include reducing the spawn frequency of the Armoured Sentry Soldiers, adjusting the performance of various armoured vests, and making Guadalcanal a bit more challenging with large numbers of players in an Invasion server (reducing the number of Friendly AI soldiers more per each joined player. This will not affect Solo Players and has very minimal impact on small numbers of players.) Lastly, there is an assortment of new weapons being added, from the iconic M55 Reising sub-machine gun to the pre-war experimental Type Hei automatic rifle. 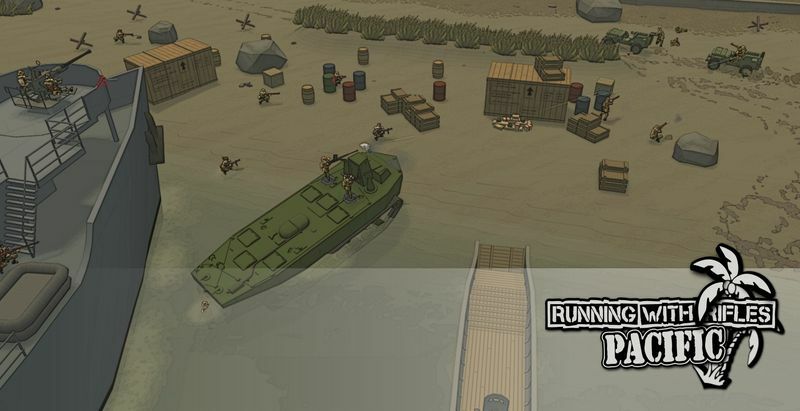 The Imperial Japanese Navy (IJN) have also been added to the game in the form of their Special Naval Landing Forces – essentially Japanese Marines. The IJN replace the IJA on Tarawa and Downfall, serving as a “Boss” faction within the US campaign, but also playable in the Japanese campaign. They use a few different weapons from the IJA and can call-in a Heavy Amphibious Tank – the Type 4 Ka-Tsu – a behemoth of a personnel carrier equipped with two 13mm Machine Guns. Next please!… update 1.65 out! Today it’s once again update-time! One of the main focus of this update is “Man vs. World” balancing, as we saw a bunch of people showing interest in the gamemode but unfortunately it being too hard for most to even pass the first stage. We enjoy hard difficulty ourselves but surely there are ways to make it more accessible to everyone! Therefore we added a new casual difficulty setting which reduces the accuracy of the enemy as well as adding a new self-healing item which is specific for this gamemode – the bandage! You can’t find it in the armory, it’s a enemy soldier loot drop. Make sure to keep your eyes open to not miss them, they can easily decide the outcome of the campaign! You’ll also find them in the hard and veteran difficulty modes, just at a lower drop rate. Next, we took the first steps into implementing some of our upcoming usability improvement plans to help (new) players get into the game more easily. One part of it is the backpack design which didn’t always make sense in it former state. We found out that especially new people were confused about the abrupt speed and accuracy penalty for having e.g. 1 extra weapon in their backpack and not realizing where the penalty comes from, leading to the decision to tweak the encumbrance system. Now the accuracy and speed penalties increase linearly as you can see in the following chart where you can compared the old (1.64) and the new (1.65) ways. As for a typical example, when you carry an extra stock weapon in your backpack such as a M16A4, in 1.64 your moving speed was reduced by 20% and your accuracy by 15% (respectively the dotted blue and red lines). In 1.65, the speed penalty would be 10% (blue line) and the accuracy 0% (red line) as it just starts to kick at 20% encumbrance. Therefore having an alternative weapon in your backpack and nothing else would only affect your movement speed by 10% but not your accuracy. Having more items in the backpack will affect your movement even more and the accuracy will start to reduce too. Visually, your character will have a visible small backpack on his back once the encumbrance reaches 20% and a big backpack once the encumbrance reaches 50%. We also added a backpack HUD icon with the encumbrance percentage below so that you won’t have to check your inventory to get that information. For online players, profile passwords have been another source of confusion since forever, and we’re now switching to another mechanism that avoids a manual password input while achieving the very same thing by utilizing Steam. For new players or profiles on servers, you no longer need to come up with a password, instead you just pick a username and get into the game. For old profiles, the game requires you to supply the password once more after trying to join with the existing username, or, if you have used the “Remember me” option the game will automatically feed it. In the last update (1.64) we added some new experimental netcode techniques which should help with synchronization issues some people have, especially when their network performance tends to fluctuate. We were rather cautious about those additions, therefore we didn’t apply them as a default setting but only optional via command line. During the last 3 weeks, we activated the mode on some official servers, which ran surprisingly smooth without causing any issues that could have come along. We’ve now made the netcode mode the default setting for all servers and clients. For Pacific, we’ve optimized some maps to avoid certain crash issues due to RAM consumption, and made a variety of gameplay changes. and there is also 1 new weapon variation – a rare Type 99 Light Machine Gun outfitted with a Scope. In the first major update for 2018 we’d like to introduce you some tasty additions to the main game as well as for the PACIFIC DLC! On top of that, the game will be on sale until April 2 which is the date of the third anniversary of RWR, woohoo! To start off, we adapted the “Man vs. World” mode into a campaign playable as 2-player cooperative. It continues to be an unforgiving perma-death mode but having a mate to join you on your adventure could make you feel more comfortable and you’d have someone to revive you in case you are wounded. We highly suggest playing this mode with FoV enabled (veteran mode) as it adds a lot to the excitement and also requires more tactical approach to not get surprised by the enemy. Over the years, the community has constantly provided us with interesting suggestions and a lot of them have made it into the game. Also, the modding community got bigger, especially since the implementation of Steam Workshop and even more since we have a Discord server with a modding channel which makes it easier and faster for modders to help each other. 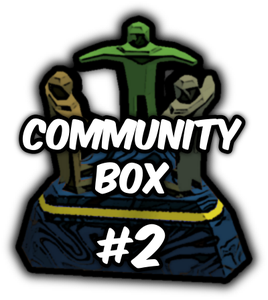 Therefore we decided to include the community even more in the game development by starting a “community box” contest. This box is similar to how the gift box works, but with goodies provided by community members. There has been a lot of submissions but only a part of it made it into this update. We have no doubt that there will be more community boxes in the future! This big roll-out for Pacific will focus on the battle of Peleliu Airfield! As have all our Pacific maps it was researched well to represent it in a historical demeanor; we laid out all the major iconic structures and the shape of the island relative to real maps and photos. It is available in both Quickmatch and Campaign. Alongside the map is being introduced several all-new gear pieces, both weapons and items, which when combined fortify the player into virtually a “walking” bunker. Of course, the AI makes use of all this gear as well! And so being introduced is also an all new “mini-boss” adversary, the “Sentry” Soldier! Similar to RWR’s EOD armoured troops, the Sentry is a tough, thickly armoured adversary (and occasionally an ally too), and in Pacific, alongside his heavy Sentry Armour, he always comes equipped with a hip-fired Heavy Machine Gun. Last but not least, we’ve fixed the popular “RUNNING WITH THE DEAD” mod which had some nasty crash issues due to some recent vanilla updates. Ultimately we didn’t just fix those but also put some work into the mod overall. As a mod should be something coming from the community, we’d invite every motivated modder to join the team and continue the project as we unfortunately don’t have much time left to sustain the continuation of this mod. New maps would be something great we’d like to see worked on for the mod. Feel free to join Discord to discuss it with us and other modders! The updated mod should be uploaded a couple of hours after the 1.64 vanilla release, thanks for your patience! We’ll also set up 2 new servers in mainland China to host DOMINANCE (PvP) and most likely a RUNNING WITH THE DEAD mod server. Those will still be experimental servers.